The Storm Shadow SCALP is a long-range, air-launched, stand-off attack missile. Image courtesy of David Monniaux. The Storm Shadow missile is designed to strike high value stationary hard rock targets. Image courtesy of Corrado Baldassi. The missile is fitted with a two stage bomb royal ordnance augmented charge (BROACH) blast/penetrator warhead. Image courtesy of David Monniaux. The Storm Shadow / SCALP is a long-range, air-launched, stand-off attack missile designed and developed by France-based MBDA Systems. The missile was developed primarily for the UK and French armed forces. It is derived from the MBDA Systems’ Apache anti-runway missile. The missile is intended to strike high-valued stationary assets such as airbases, radar installations, communications hubs and port facilities. The Storm Shadow is capable of engaging the targets precisely in any weather conditions during day and night. The long range and low attitude combined with subsonic speed make the Storm Shadow a stealthy missile. The Storm Shadow is also in service with the air forces of Italy, Greece, Saudi Arabia and the United Arab Emirates (UAE). It is referred to as Black Shaheen in the UAE Air Force service. The Storm Shadow can be integrated into Tornado GR4, Tornado IDS, Saab Gripen, Mirage 2000, Rafale, Eurofighter Typhoon and F-35 Joint Strike Fighter aircraft. 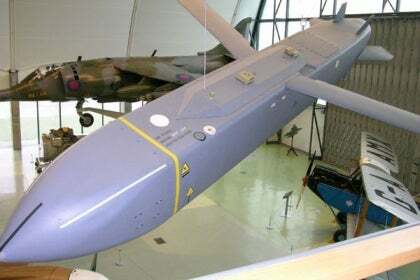 The UK Ministry of Defence (MoD) placed a €1.13bn contract with MBDA Systems for the development and production of the Storm Shadow long range missile in 1997. The programme was intended to meet the conventionally armed stand-off missile (CASOM) requirement of the UK Royal Air Force (RAF). The French Direction Générale de l’Armement (DGA) awarded a development and production contract to MBDA Systems in December 1997. The French version, known as SCALP, is intended for the Mirage 2000D and Rafale aircraft. "The missile is intended to strike high-valued stationary assets such as airbases, radar installations, communications hubs and port facilities." In October 1999, Italy placed an order for the Storm Shadow weapon for the deployment on the IDS Tornado of the Italian Air Force. In the same year, the UAE awarded a contract to MBDA System for the Storm Shadow missiles for its Mirage 2000-9 fleet. The government of Greece awarded a contract in August 2000 to equip Mirage 2000-5 Mk2 fighters of the Hellenic Air Force with Storm Shadow missiles. Greece also placed another order in December 2003 for additional missiles. Storm Shadow was successfully fired from the RAF’s Tornado GR4 aircraft during Operation Telic in 2003. The SCALP missile entered into service with the French Air Force in 2004. The missile was operated for the first time by France in March 2011. The Storm Shadow missile is designed to penetrate deep into hard rock targets. It is equipped with fire-and-forget technology and fully autonomous guidance. The missile has a length of 5.1m, wingspan of 3m, and a body diameter of 0.48m. It weighs 1,300kg and has a range of more than 250km. The Storm Shadow missile is designed to strike the targets with an enhanced accuracy, employing different navigation systems installed onboard. The navigation system of the missile includes inertial navigation (INS), global positioning system (GPS) and terrain reference navigation for better control over the path and accurate target strike. The missile is fitted with a passive imaging infrared seeker. "The Storm Shadow missile is designed to penetrate deep into hard rock targets." The Storm Shadow missile is programmed with each and every detail of the target and the path to be taken to reach the target prior to its launch. Once released from the aircraft, the missile follows a pre-programmed path at low level with the help of continuous updates from the onboard navigation system. It employs imaging infrared seeker to compare the actual target area with stored imagery repeatedly until reaching the target. The missile is fitted with a two-stage bomb royal ordnance augmented charge (BROACH) blast/ penetrator warhead. The first stage of the warhead makes the way for the second stage by cutting the surface of the target. The larger second stage (main) of the warhead then penetrates into the target and detonates. The Storm Shadow missile is equipped with a Turbomeca Microturbo TRI 60-30 turbojet propulsion system, which can produce a 5.4kN of thrust. The AGM-88E AARGM is a medium-range air-to-ground missile developed by Alliant Techsystems (ATK). The AIM-120 advanced medium-range air-to-air missile (AMRAAM) is a new generation all-weather, missile manufactured by Raytheon.